Somehow I missed the press-release or other news sources, but earlier this week CBOE listed Monday-expiring weekly options. Right now 3 expirations are listed: Monday August 22nd, 29th, and Tuesday September 6th. Volume, open interest, and bid-ask spreads look reasonable for just-launched series, and I believe this product is already a success. 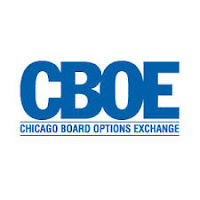 Now, with 3 regular expirations per week, it is only a question of time when CBOE will have options expiring every day of the week. The challenge is not in the product itself, but rather in technological barriers - market making software, increased network traffic, etc. I expect that we will not see another weekly expiration for another year. I would also speculate that perhaps the next launch will be in the VIX series, maybe Friday PM settled VIX options?